The already mentioned advantages of the V8 design hotel make the overnight stay an unforgettable experience, which guarantees you weeks, months and even years later. Beside the classic design rooms, you will also find 26 individually designed and completely unique themed rooms. Each of them deals with a very specific motive, ranging from the bed to the wall decoration, to matching decorative elements and individually matched furniture. 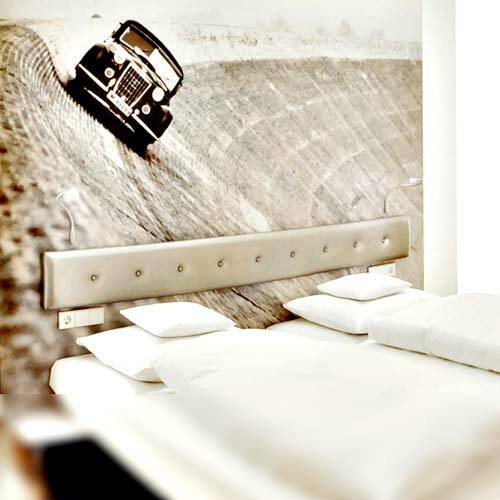 The V8 hotel theme rooms in the Stuttgart area are a real highlight, for which our hotel is well known far beyond the borders of the Stuttgart area and the circle of automotive enthusiasts. The respective equipment and spatial details of the theme rooms can be found directly on the respective side of the room. The motive range from the classic racing sport to the workshop or even a car wash system. If you want to feel a bit of the typical "American Dreams" during your stay, we recommend an overnight stay in the Route 66 room. The legendary highway is realized here in a very unique way through decoration, wall and equipment. Not only do you sleep well, but you also enjoy the day with a spectacular ambience. Themes such as petrol station, tuning, nostalgia, vision, Autokino and V8 Camp round off our range of theme rooms at the V8 Hotel. In addition to the extravagant equipment, you can always be assured of a comprehensive service. 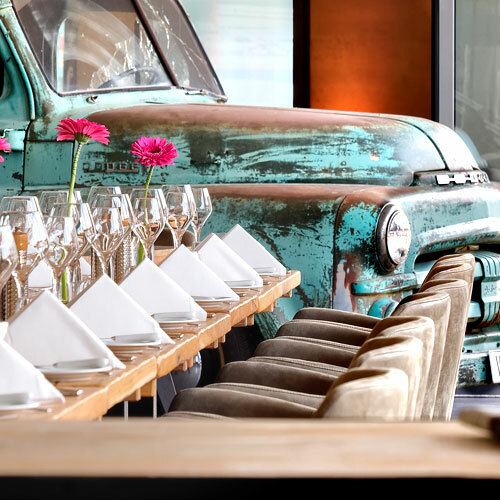 The highly trained and experienced team at the V8 Designhotel would not only offer you accommodation in the Stuttgart area, but also make your stay at the hotel a truly impressive experience. 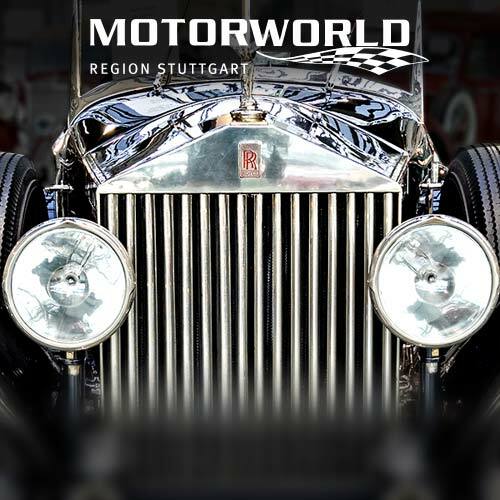 Steeped in history, impressive and worth a visit: the Motorworld in the Stuttgart region is definitely a highlight, which excites car enthusiasts and also guarantees a first-class stay to other guests. The V8 Designhotel can be understood as a unique combination of stylish design hotel and experience. The immediate proximity to Motorworld plays a decisive role. You can also use our guided tours during your stay or explore the attractions of the Stuttgart area on your own.Our team will give you always valuable tips, which sights are in the immediate vicinity and which places or events in Stuttgart are worth a visit. For the special touch, the V8 Hotel offers you unique V8 experiences. With these, you can say good-bye to everyday life and immerse yourself in very special worlds. Whether it's the key delivery of your new car or a shopping tour, the numerous possibilities make for an unforgettable highlight and beautify your stay in the enchanting Stuttgart space. The rooms and their availability can be viewed online, where the booking can also be carried out for one night at the V8 Hotel in the Stuttgart area. In addition, you always have the possibility to make a non-binding inquiry. The team at the V8 Hotel is there to help you plan your stay. Are you looking for a special attention for the partner, good friends or the family? Spending an overnight stay in the Motorworld region of Stuttgart is always an option! With the vouchers, you are guaranteed to be a good choice to give the recipient a special pleasure. Would you like to see our hotel in advance? Take a look at our 360-degree tour of the hotel or to our gallery, including many interesting videos! Here you can download the brochure of the new V8 HOTEL as PDF. Here you can download the V8 HOTELS brochure as PDF.